It’s no secret that a good night’s sleep is the key to your health, mood, and quality of life. With millions of Americans suffering from a variety of sleep disorders including insomnia and sleep apnea, establishing good sleep health is a topic at the forefront of our society. As you can probably guess, high-quality sleep depends largely on your sleeping environment. Specifically, choosing the right mattress can make a huge difference. Latex mattresses are among the mattress types leading the pack for people looking to improve their sleep and create an overall relaxing, healthy sleep environment. Latex is a material made from rubber tree sap and is becoming an increasingly popular element in a variety of premium mattresses. 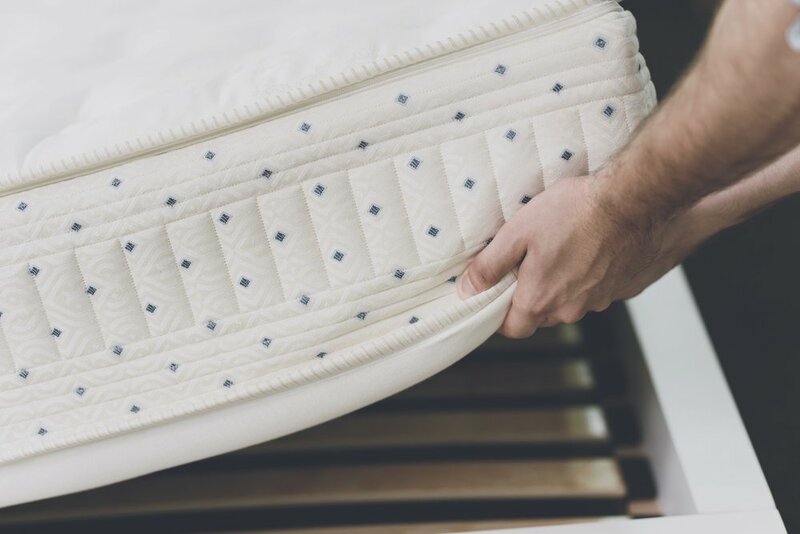 A natural latex mattress uses latex foam instead of memory foam as the top layer, using natural materials as opposed to the synthetic elements in traditional memory foam. You can purchase a latex foam mattress from a variety of top industry brands, but there is one that consistently stands out among all other latex mattress reviews. The Scott Living Ultra Premium Latex Collection by Restonic boasts top of the line sleep systems that are both stylish and comfortable. The Scott Living collection by Restonic offers two different models, the Cozy Firm and the Mirage Euro Top. Both offer cutting edge technology that infuses aluminum into the cellular structure of the memory foam. This temperature neutral, natural material allows more air flow throughout the foam which ensures a cool and comfortable night sleep. Because latex beds are pressure relieving, easy to move around on, and provide the ideal level of support, you can utilize a range of comfortable sleep positions. For those that suffer from sleep apnea, the recommended side sleeping position can be comfortably achieved with a supportive latex mattress. Or, if you’re facing insomnia, the balanced comfort of a latex mattress can help you fall asleep and stay asleep. Latex is also naturally hypoallergenic, able to resist the natural build-up of dust mites, skin cells, and mold that often pollute other mattresses. So, you can enjoy a clean, healthy mattress for a long time with latex. Finally, latex is also extremely durable so your investment in this luxury mattress will be worth it for years to come. If you’re interested in finding the perfect latex bed to improve your sleep health, MATTRESS360 offers a wide range of options at the best prices in Arizona. We offer flexible financing, so no matter what your budget, you can afford to enjoy a good night’s sleep. Come to our showroom today, and experience the Scott Living Ultra Premium Latex Collection by Restonic and other latex beds in person, so you can see for yourself what makes them such a popular choice.